I think ideal for adult dogs of large breed neutered, weighing more than 25 kg and have a tendency to being overweight and joint problems. From the age of 15 months. I think ideal for adult dogs of large breed spayed, weighing more than 25 kg and have a tendency to being overweight and joint problems. From the age of 15 months. 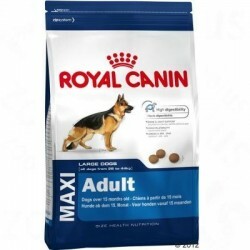 The feed Royal Canin Neutered Large Dog takes into account the main problem of the dogs sterilized, overweight. It is very important to keep your large breed dog in your ideal weight, because being overweight can increase the strain on the joints and encourage the emergence of joint problems and health in general. 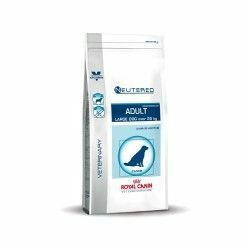 - Synergistic complex of antioxidants, with high levels of vitamin E, taurine, lutein and vitamin C that help fight the effects of aging of your adult dog. 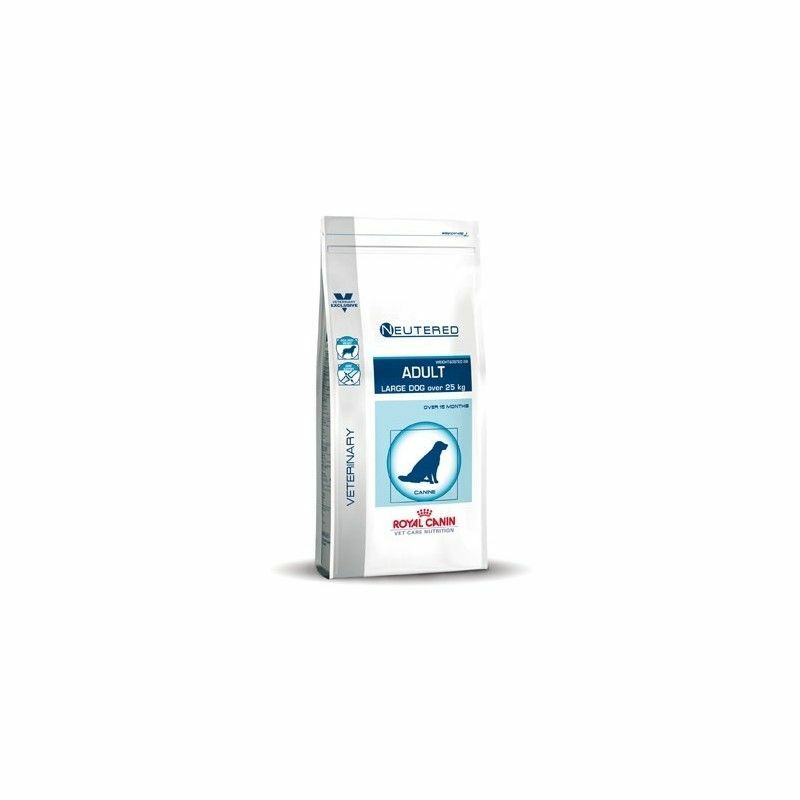 - Take care of the joints of these adult dogs of large breed , with the contribution of glucosamine, chondroitin sulfate and fatty acids, Omgea-3, which nourish the cartilage, improves mobility of the joints and combat the inflammatory mechanisms. - High quality protein and easily digestible, combined with beet pulp and fish oils that care for the intestinal flora and improve the transit. Description: Royal Canin Vet. Diet Veterinary Neutered Adult Large Dog I think ideal for adult dogs of large breed neutered, weighing more than 25 kg and have a tendency to being overweight and joint problems. From the age of 15 months.